About Taylor’s University: Taylors University Malaysia (commonly referred to as Taylor’s) is a private university in Subang Jaya, Selangor, Malaysia. It was founded in 1969 as a college, was awarded university college status in 2006, and university status in 2010. Taylor’s University offers courses in tertiary education, from foundation and diploma to degree, post-graduate and professional programmes. Taylor’s University is a member of the Taylor’s Education Group, which comprises Taylor’s College, Garden International School, Sri Garden International Schools, Australian International School Malaysia, Nexus International School Putrajaya, Nexus International School Singapore and Taylor’s International School. English Language requirement for admission in Taylors University : All international students who are going to apply for Taylors University are required to have Test of English as a Foreign Language (TOFEL) or the test administered by the International English Language Testing System (IELTS) with the minimum required score below for different levels of study. NOTE: If you do not have above English language qualifications, you can sit for Taylors University English placement test when you arrive in Malaysia. If you pass the placement test, you would have met the minimum English requirement and start your study at Taylors University Malaysia. However, if you have NOT passed the Taylors University placement test, you will be required to do a compulsory English course at Taylors University. 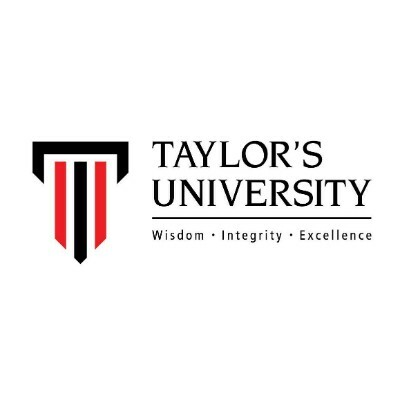 Required documents: list of required documents for admission in Taylor’s University and all Malaysian Universities, including English language institutes is available in this link . U Residence is the flagship on campus hostel owned by Taylor’s University. This 6-storey building has 888 beds with car parking facilities below the commercial block. There are a total of 128 units of apartments and 96 en-suite units, all tastefully furnished with beds, mattresses, wardrobes and study tables and chairs. Each apartment has a shared pantry/dining area, washroom facilities, a refrigerator, microwave, and locked storage space for convenience. Conveniently located below U Residence, Syopz at the Boardwalk features 2-storeys of retail shops offering a good variety of food & beverage, a bank, medical clinic, stationary and bookshop. The University has daily shuttle bus services that transport students to the nearby Sunway Pyramid Shopping Mall, the Light Rail Transit (LRT) and KTM train station. Programs and cost of study in Taylors University Malaysia: The following tables show the programs and tuition fees for bachelor, master and PHD programs available at Taylors University in Malaysia. NOTE: Tuition fees in the following tables are for 1 year, including registration fees, application fees, student visa, Medical Insurance and EMGS fees. As we are an official representative of Taylors University, all our services such as Consultation, admission and getting the offer letter, Visa application and final registration, booking your room for all students are FREE of charge and we do not charge students any money. Interested to apply ? if you have any question about Taylors University and interesting to apply for this university refer to contact us page and send us your requests, our counselors will reply you as soon as possible and help you to proceed for admission and student visa in Taylors University Malaysia. Taylor\’s University 泰莱大学 (commonly referred to as Taylor\’s) is a private university in Subang Jaya, Selangor, Malaysia. It was founded in 1969 as a college, was awarded university college status in 2006, and university status in 2010. Taylor\’s University offers courses in tertiary education, from foundation and diploma to degree, post-graduate and professional programs. Taylor’s University is a member of the Taylor’s Education Group which comprises Taylor’s College, Garden International School, Sri Garden International Schools, Australian International School Malaysia, Nexus International School Putrajaya, Nexus International School Singapore and Taylor’s International School. Start managing your school’s profile and gain access to marketing tools and analytics reports.